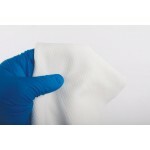 ITW Texwipe TX3252 AlphaSat with AlphaSorb High Capacity is a sterile cleanroom wiper constructed of a 100% 2-ply polyester, double-knit, continuous-filament material, prewetted with 70% IPA. While offering an extremely low particle release and fiber levels, these wipers are able to prevent contamination in the most important places within the cleanroom. 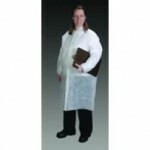 Designed for pharmaceutical settings and optimized for general wiping and spill control within critical environments with its high absorbency features. 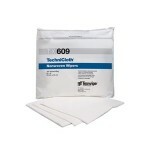 ITW Texwipe TX3252 AlphaSorb High Capacity is a sterile cleanroom wiper constructed of a 100% 2-ply polyester, double-knit, continuous-filament material, pre-wetted with 70% IPA. While offering an extremely low particle release and fiber levels, these wipers are able to prevent contamination in the most important places within the cleanroom. 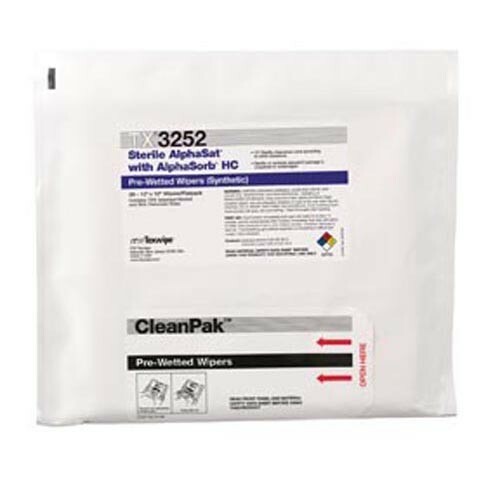 Designed for pharmaceutical settings and optimized for general wiping and spill control within critical environments with its high absorbency features. 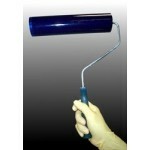 Packaging for ITW TexWipe TX3252 is available in a case (5 flatpacks/case).